SeaAloe has taken the guesswork out of making the right choice for your well-being. We have searched the world over for the highest-quality whole food ingredients to give your body the nutrition it needs, SeaAloe is the ultimate liquid whole food dietary supplement. SeaAloe is simple, easy and convenient to use. 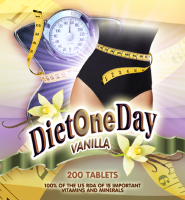 No mixing, no shaking, no complicated directions, just take 1 oz 2 times a day. It?s perfect for all ages. Finally a great tasting supplement that delivers over 80 vitamins, minerals, trace minerals and amino acids in Natures perfect balance! Why SeaAloe? With the thousands of dietary supplements on the market today, you could feel overwhelmed with the many choices at your local health food store, grocery store or on-line vitamin shops. How do you make the right choice for you and your family? SeaAloe is simple, easy and convenient to use. No mixing, no shaking, no complicated directions, just take 1 oz 2 times a day. It?s perfect for all ages. Finally a great tasting supplement that delivers over 80 vitamins, minerals, trace minerals and amino acids in Nature's perfect balance! The finest ingredients from around the world have been hand selected for their perfect flavor, color, texture and nutrient content - Superfoods that are fine enough to become SeaAloe. The quality is second to none. SeaAloe is what Nature intended, a balanced whole food nutritional supplement with a proprietary formula of plant-based ingredients, with nutrients in a natural liquid form your body recognizes. ?These statements have not been evaluated by the food and drug administration. This product is not intended to diagnose, treat, cure or prevent disease. Share our site with others who can benefit from our articles, recipes and products. Your friends will thank you!